Pediatrician Staff - Gadsden, AL - Gadsden Pediatric Clinic, P.A. 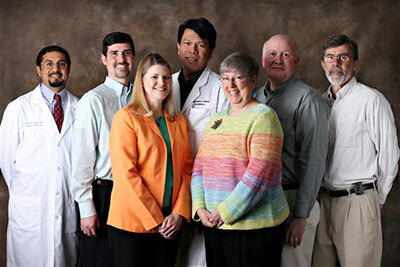 Meet our friendly, experienced pediatricians and staff at Gadsden Pediatric Clinic and Rainbow Pediatrics! Our entire team is dedicated to helping you and your child feel at home from the moment your walk through the door. We're proud to be members of the Gadsden community and serve the needs of their children. We pride ourselves in being an exceptional clinic where children come first. Our child-focused practice works hard to meet the needs of children from infancy through adolescence. Compassionate, knowledgeable and supportive staff is the cornerstone of Gadsden Pediatric Clinic and Rainbow Pediatrics' quality care. All of our pediatricians and medical staff are highly trained professionals, and maintain the highest level of accreditation in pediatrics to address the special needs of infants, children, and teens.